Plaid Cymru leader Leanne Wood has fired off an angry letter to First Minister Carwyn Jones, complaining about the way he and his ministers speak to her and other Plaid Cymru AMs in the Senedd. 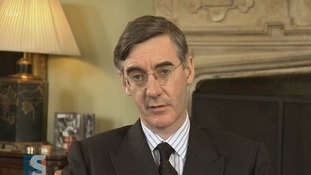 The final straw seems to have been the Public Services Secretary, Alun Davies, describing Plaid's Bethan Sayed as "confused" but Ms Wood also objects to a "farcical personal attack" that compared her to Tory arch Brexiteer Jacob Rees-Mogg. I am writing to you to highlight the disappointing behaviour of some of your Ministers in the chamber the last few weeks. Today, the Cabinet Secretary for Local Government and Public Services, Alun Davies AM, made patronising and demeaning comments towards Plaid Cymru AM Bethan Sayed ... your minister thought it appropriate to comment “perhaps the member doesn't wish to listen; perhaps that's why she's confused". This is clearly a patronising and inappropriate comment from a Cabinet Minister. The Cabinet Secretary’s comments follow a pattern of behaviour over the last few weeks in which some of your Ministers have made personal, patronising and inappropriate statements towards members in the chamber. For example, during last week’s oral questions to the Counsel General, the Minister responded to me by claiming that I “misunderstand the agreement" [with the UK government on Brexit and devolution] ... Not only is this a failure to respond to my question in a dignified and substantive manner, legal advice from the Assembly has gone on to prove that my understanding of the agreement was correct. Yesterday, in a farcical personal attack at First Minister’s Questions, you attempted to compare me to Jacob Rees-Mogg. This was not an attempt to address the issues or questions I raised, but to draw a parallel that you believed would be personally hurtful. I am sure you agree, such behaviour is not befitting of government ministers.I write to you not as a result of personal grievance or upset on behalf of any of the members noted above or myself. I write to you as this pattern of behaviour is demeaning our institution and the offices of state which you currently occupy. Leanne Wood adds that the tone sometimes used by ministers towards women AMs is especially unacceptable and she asks Carwyn Jones to take the time to tell the cabinet what he believes is appropriate behaviour. The First Minister has not yet responded to her letter but after an argument with Plaid AM Adam Price earlier this year he said it was not "worthy of the exchanges we should promote in this, our Welsh Parliament [and] I apologise for my part in that".